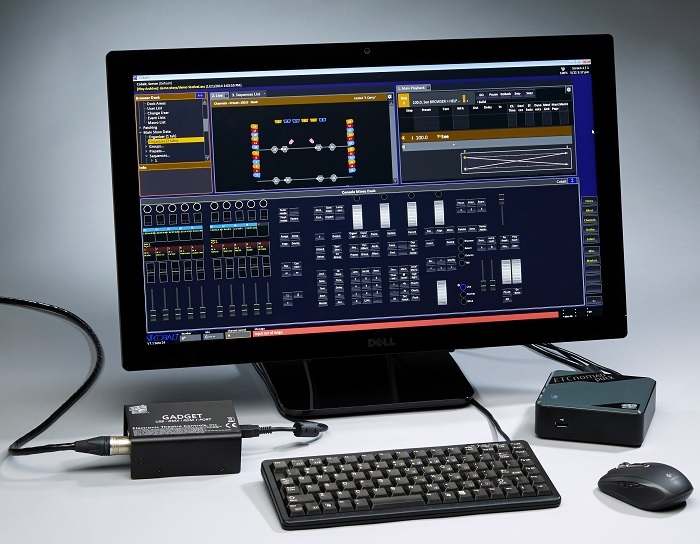 This ETC-provided and supported mini-computer is locked down, so no software other than ETC applications can be installed, giving you peace of mind that your device is safe, secure and used only for your shows. 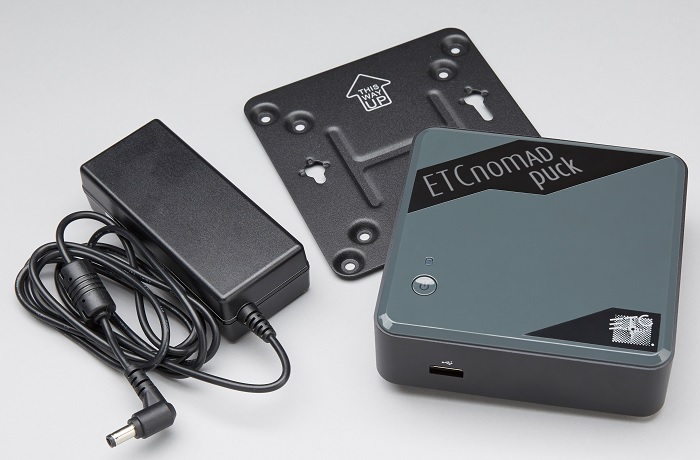 ETCnomad Puck 256 also makes a very cost-effective, highly portable Remote Video Interface. It's like having two consoles in one . With ETCnomad Puck, you don't have to choose between the Cobalt® and Eos®/Element families, because it runs both platforms. A small but powerful control device, Puck has two HDMI video ports (DVI adapters can be used if needed), one network port and three USB ports. This is a Windows 7 unit; as such, multi-touch displays are supported. **Note-This part number is only for the Nomad Puck and power supply, monitors and other accessories sold separately. When you use ETCnomad Puck as a server or backup, the system output is determined by the output count of the server device. Only the number of outputs purchased will be backed up in case of a failover. When it's connected as a client, ETCnomad Puck's output capacity is ignored.